What better way to shake off the cold than helping out at a very successful Big Build in the Cloister Garden at the Telegraph Hill Centre! 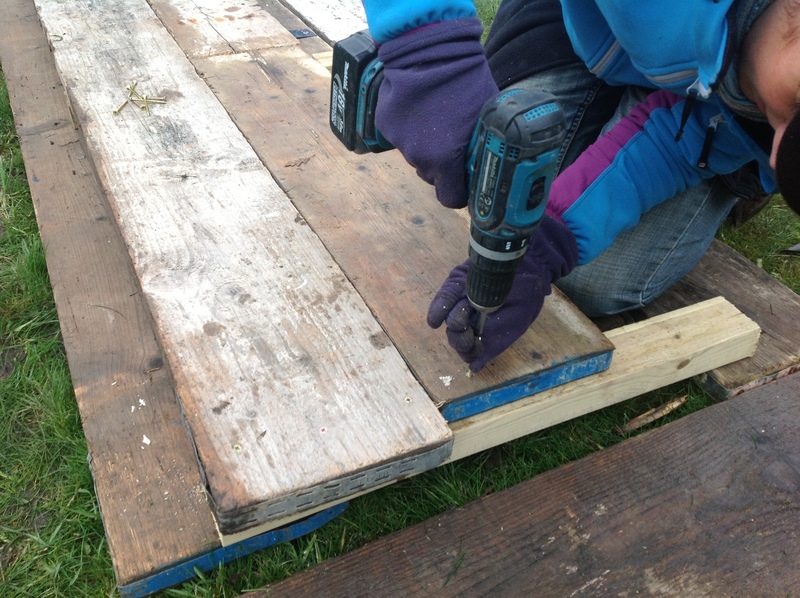 It was certainly a case of ‘many hands make light work’ as volunteers got sawing, drilling, screwing and building under Ella’s cheerful leadership to transform a pile of tired old scaffolding planks into an army of raised beds. 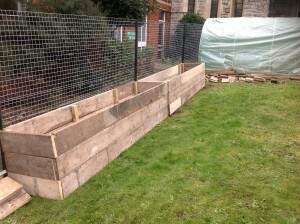 Once constructed, these were hauled into position and are now beginning to define the border of the garden. It doesn’t take much imagination to picture them heaving with herbs and flowers on a sun-drenched summer afternoon. OK, well I’m stuggling a bit with the ‘sun’ part right now, but hey, Spring must be on its way soon! Of course, one of the great things about getting involved with a Grow Wild event is that you rarely go without being rewarded with some scrummy food from the Grow Wild Field kitchen! 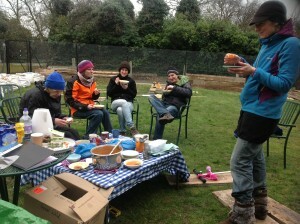 This time Louise had prepared a delicious, warming tomato soup which we all greedily tucked into after a good morning’s work. The finished products! Impressive huh! Then it was back to business with a hardy few carrying on into the fading light to bring the completed raised bed tally to 5, after which a quick celebratory drink was in order in the cosy warmth of a local pub. Things are really taking shape in the Cloister Garden and i’m excited to see what will be coming next!